# The black tees, the longest, don’t have the course rating and they are 500 yards longer than the 6478 yards long blue tees that has the course rating of 72.2, so I estimated the black tees as about 73.5. This is a scenic, flat course. 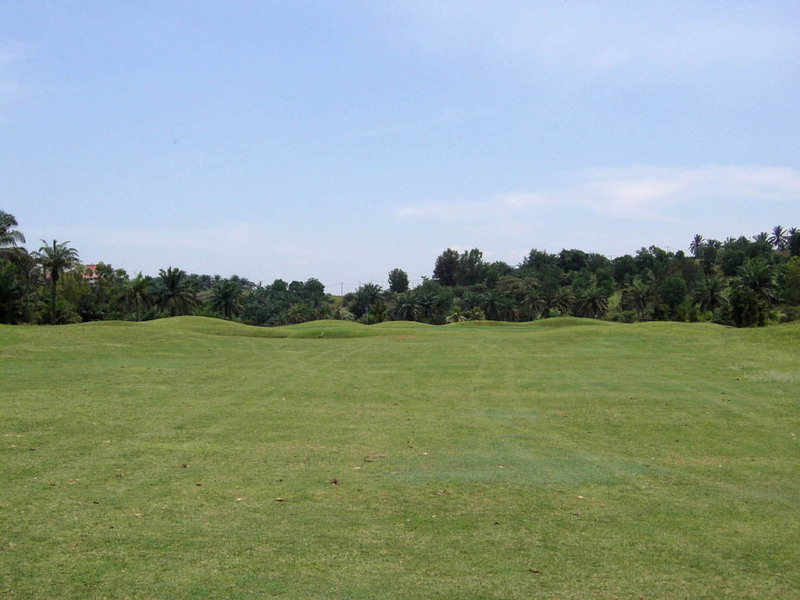 There are many natural mounds on the fairway. 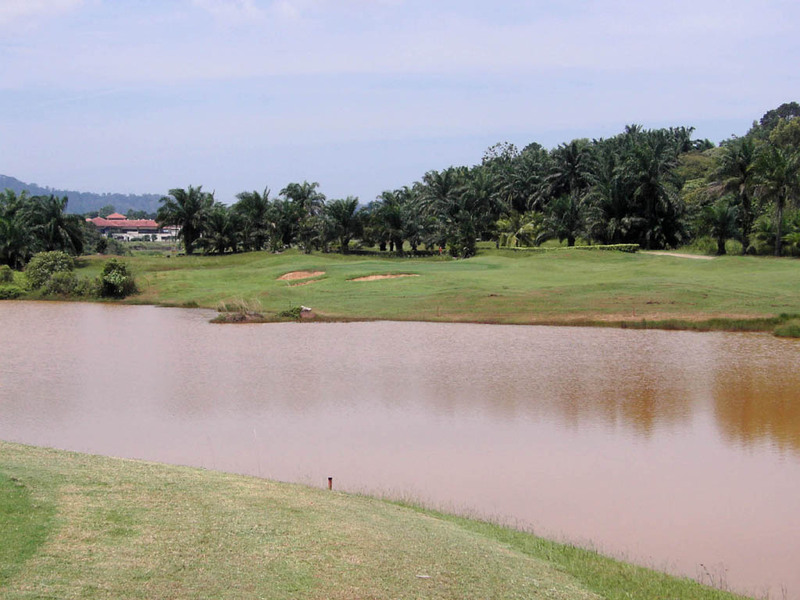 Water hazzards such as streams, creeks and lakes come into play on 11 out of 18 holes. A sharp dogleg to the right. Bunkers guard the front side of the green which has complex undulations. 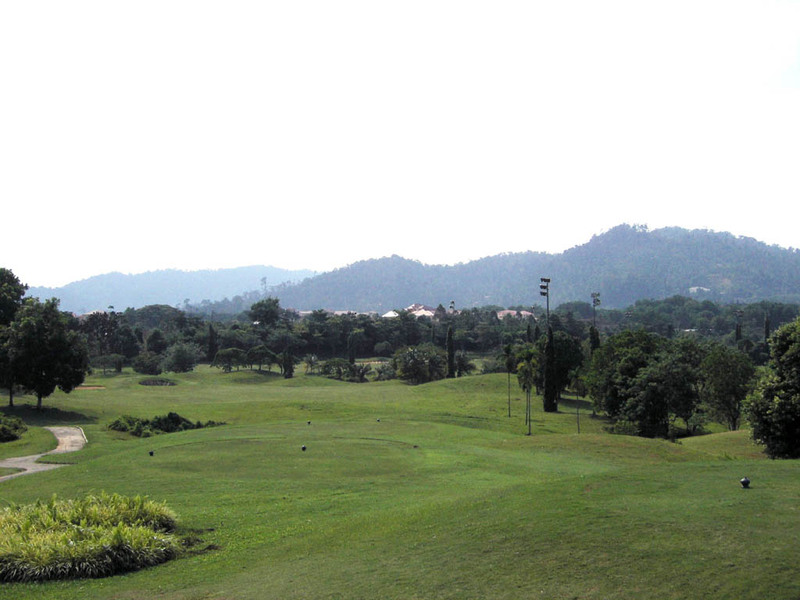 A gentle downhill straight hole with the green swung to the left at the end. Fairway bunkers on the left come into play off the tee. 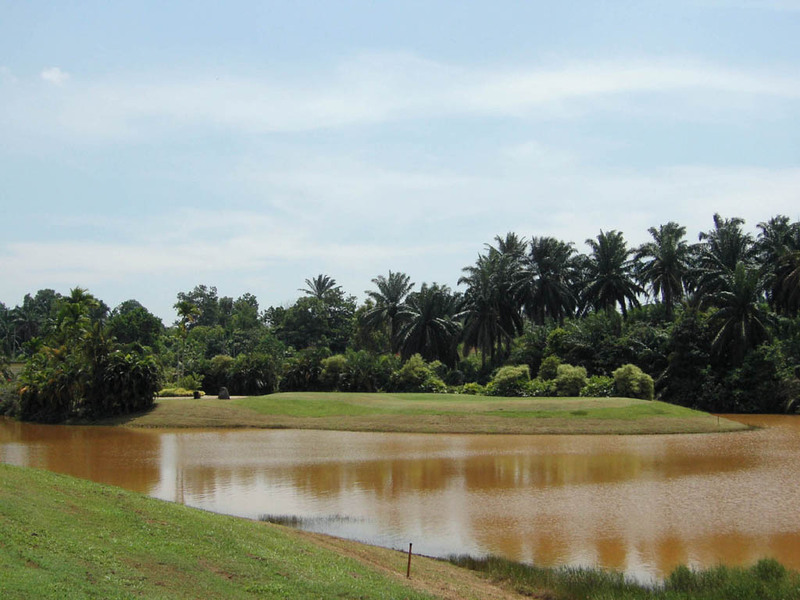 A lake guards the front side of the green. 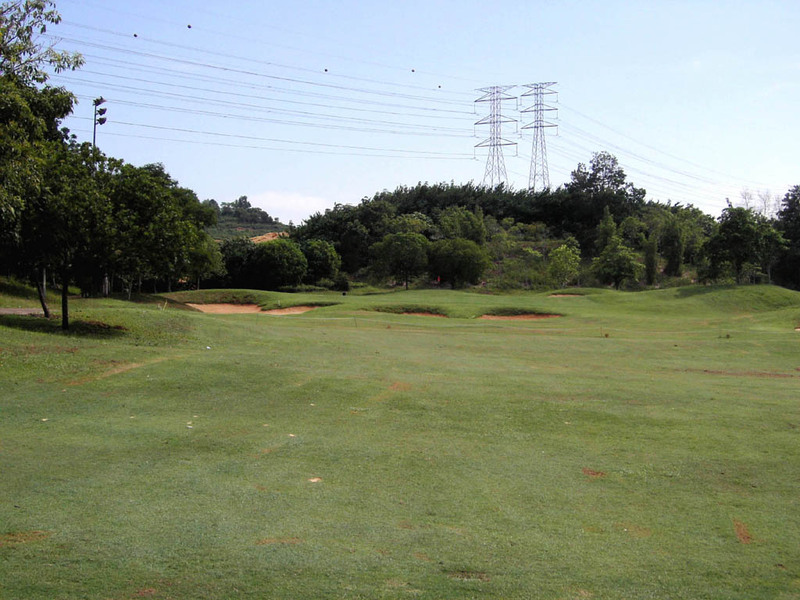 This is very short for par 5 but will be a challenging hole if it is changed into par 4. 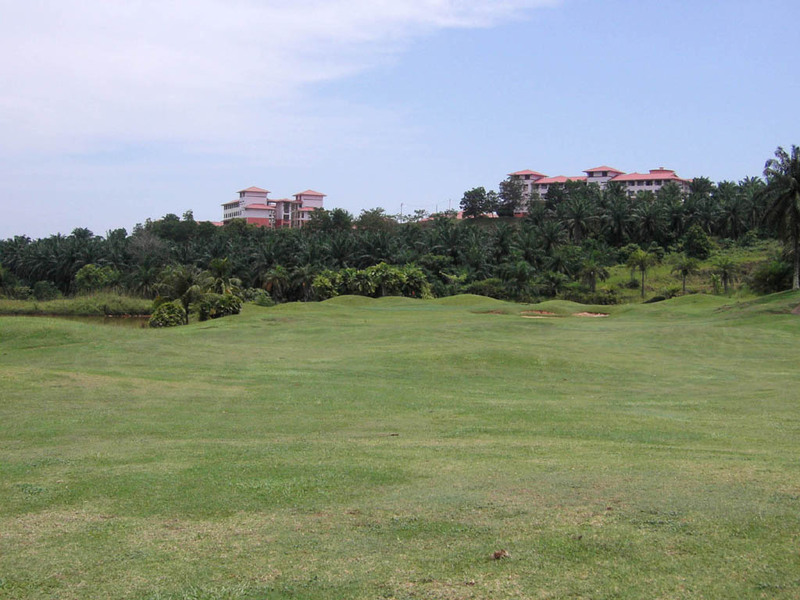 A straight hole with natural undulations on the fairway. 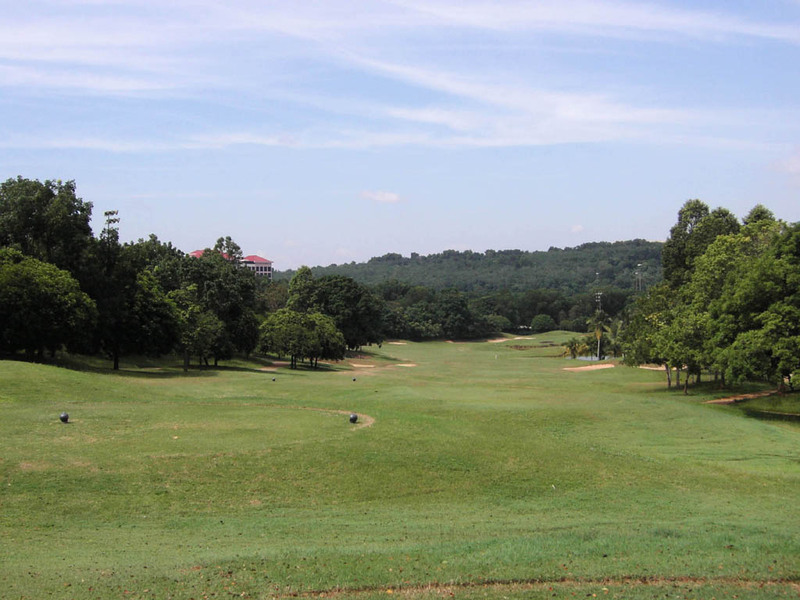 Mature trees protect the relatively narrow fairway on both sides, so the tee shot is difficult. 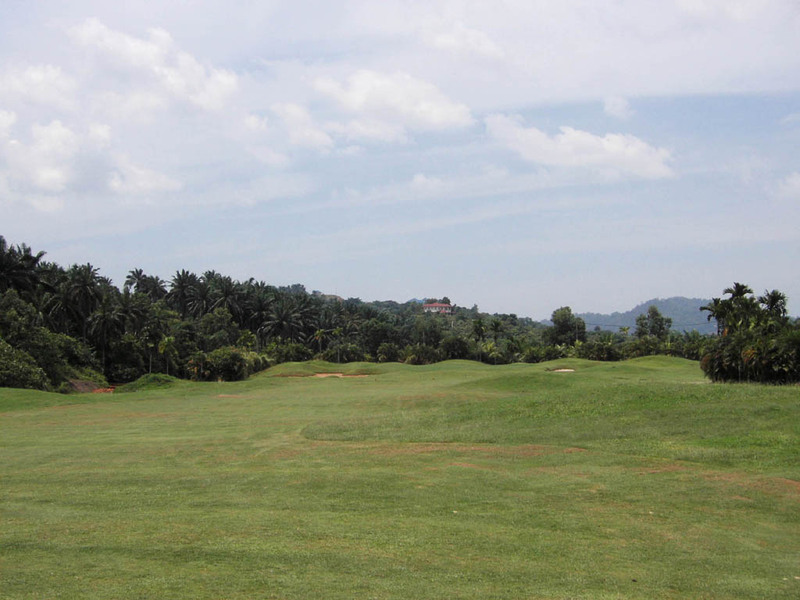 The green slopes sharply from back to front. A dogleg to the right. 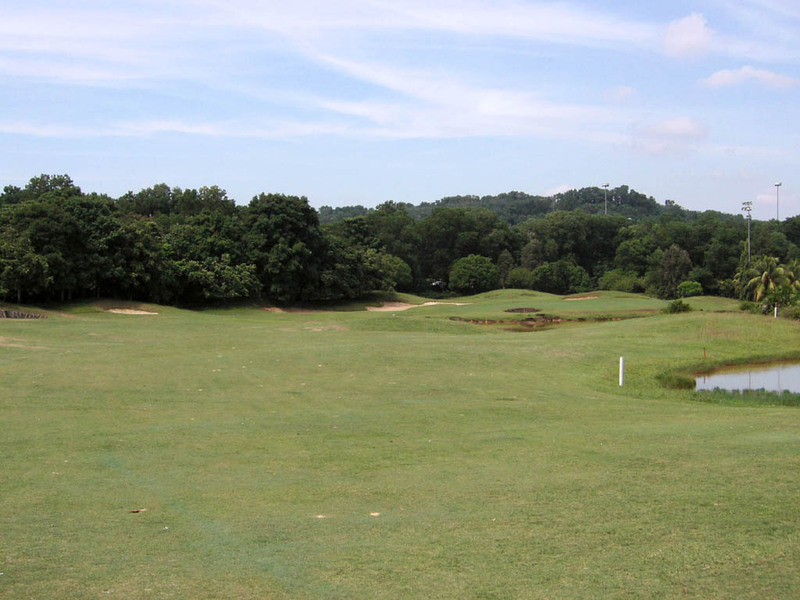 An accurate tee shot is needed as the left side of the fairway borders a lake. 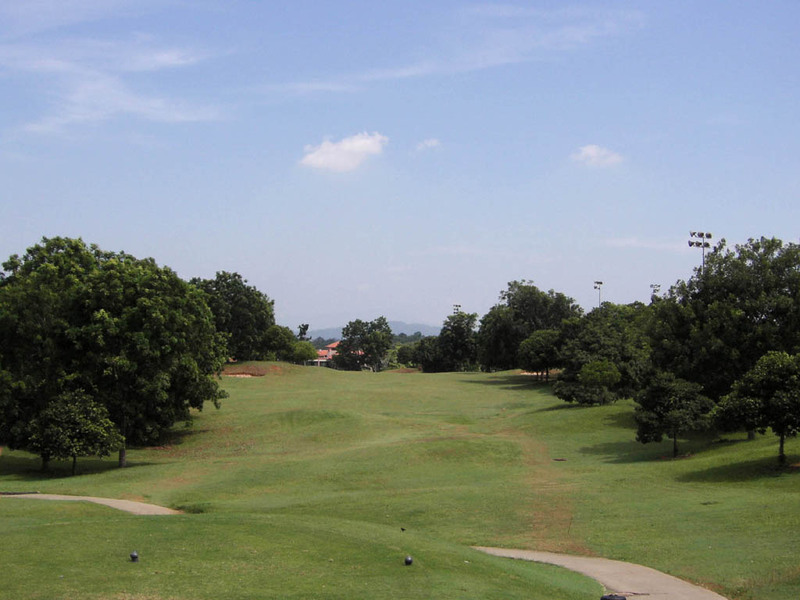 A straight par 5. 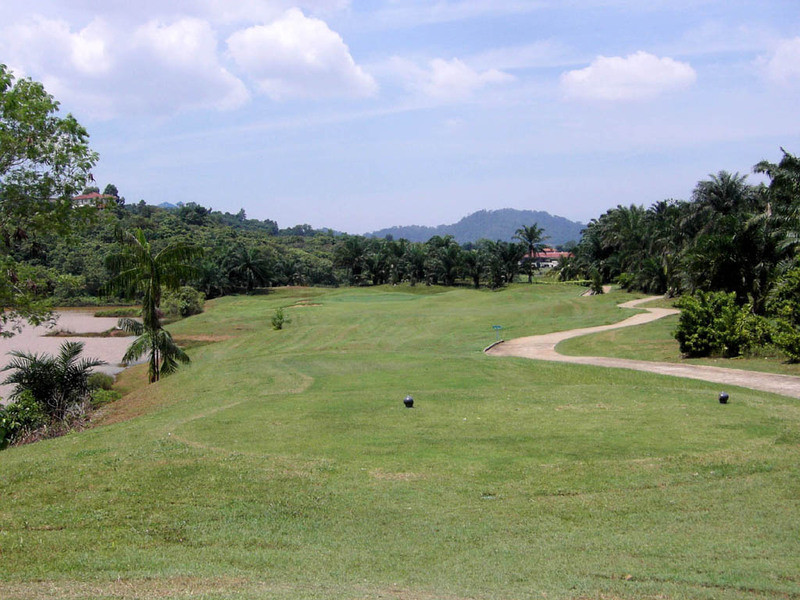 A stream runs along the right side off the tee, crosses the fairway and then run along the left side of the fairway and green. 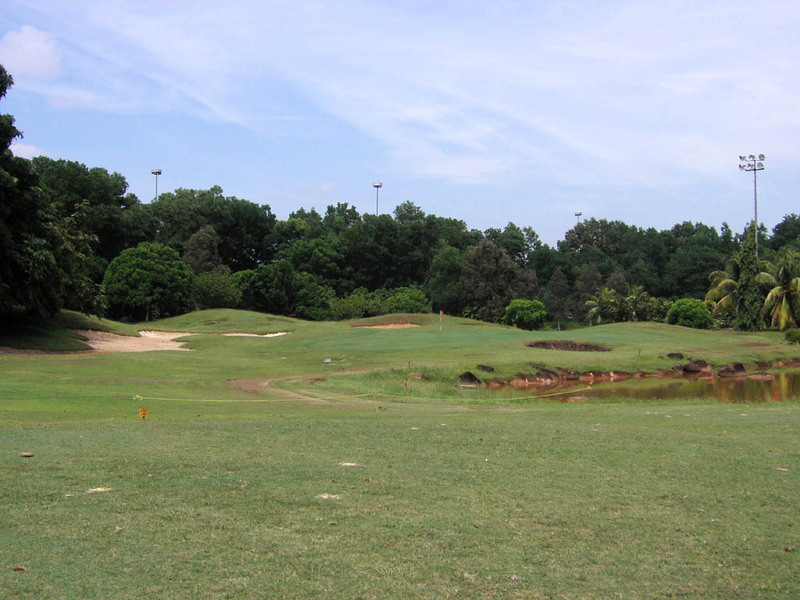 The green is small with a bunker protecting its front. It is also double-tiered to left and right. 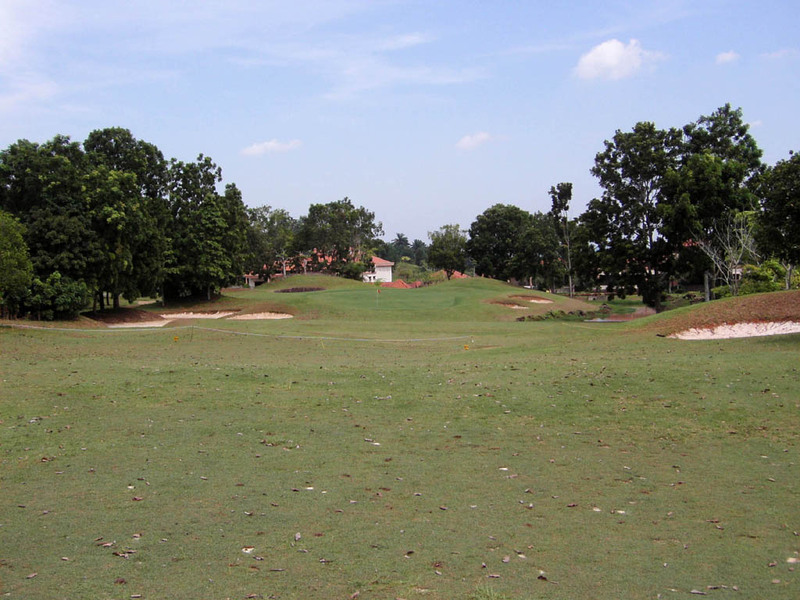 A beautiful and long par 4 that doglegs slightly to the right. 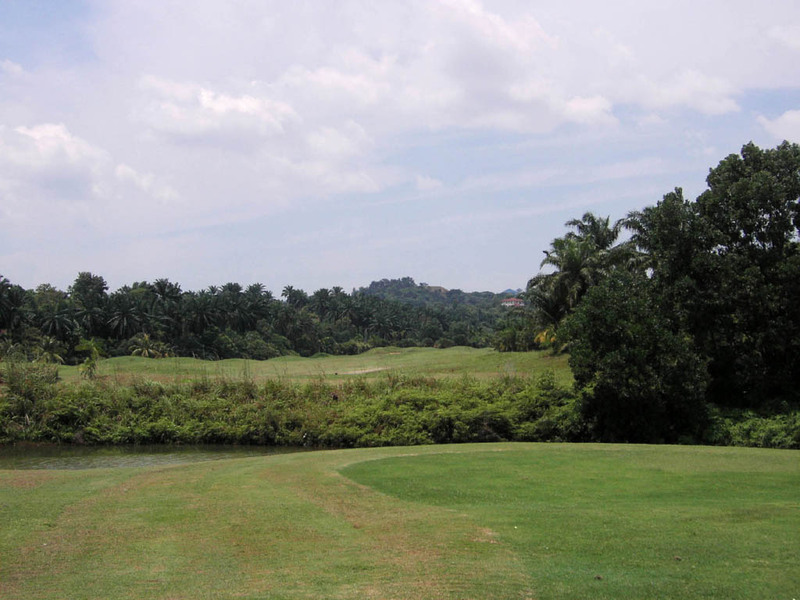 A stream runs along the left of the fairway. A signature hole, par 3. There are 2 tee grounds, an island tee and a regular tee. Playing off the island tee, the shot will have to carry 180 yards to the green and 2 bunkers guarding the front of the green will also come into play. 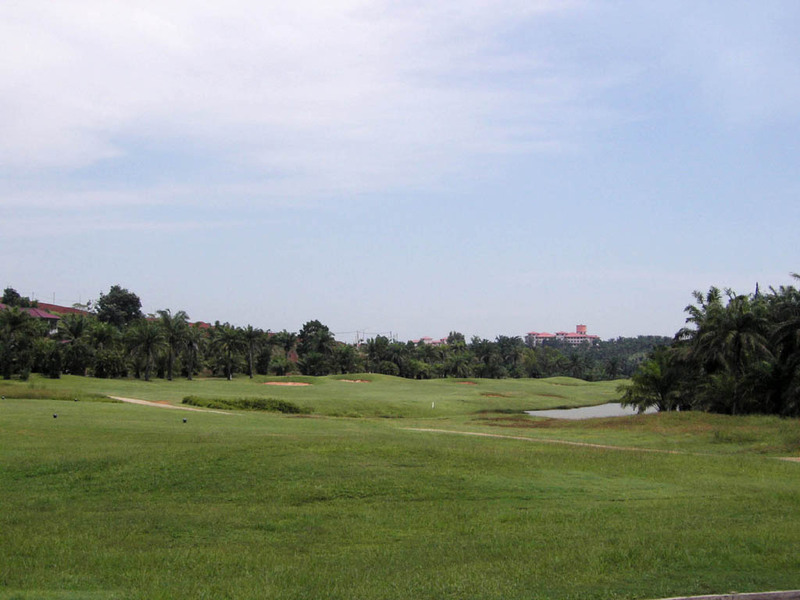 Playing off the regular tee, a lake and 2 bunkers on the left of the green will come into play. 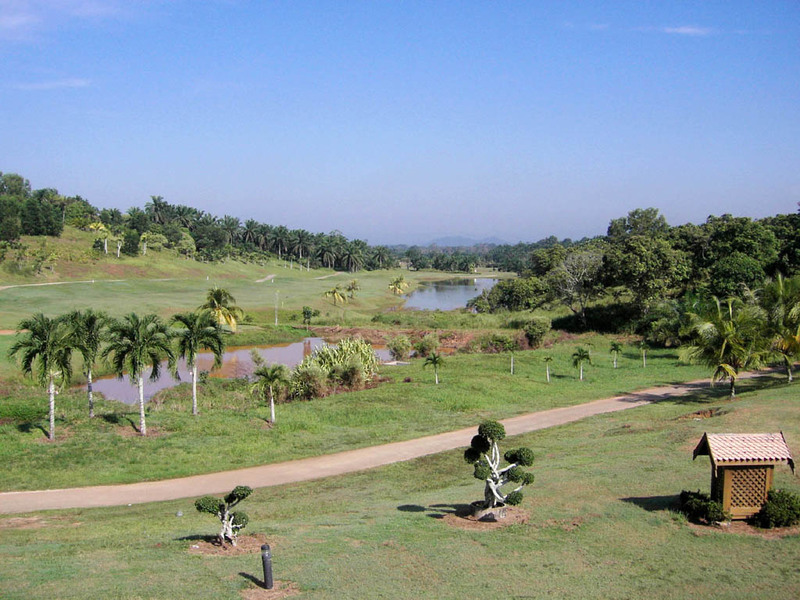 It takes 40 minutes by flight from Kuala Lumpur to Kuantan followed by another 30 minutes drive from the Kuantan Airport. It is 30 minutes drive from Kuantan or 3 hours drive from Kuala Lumpur. We stayed at the Club Med Charting Beach with my family and it took 45 minutes to get there by taxi. 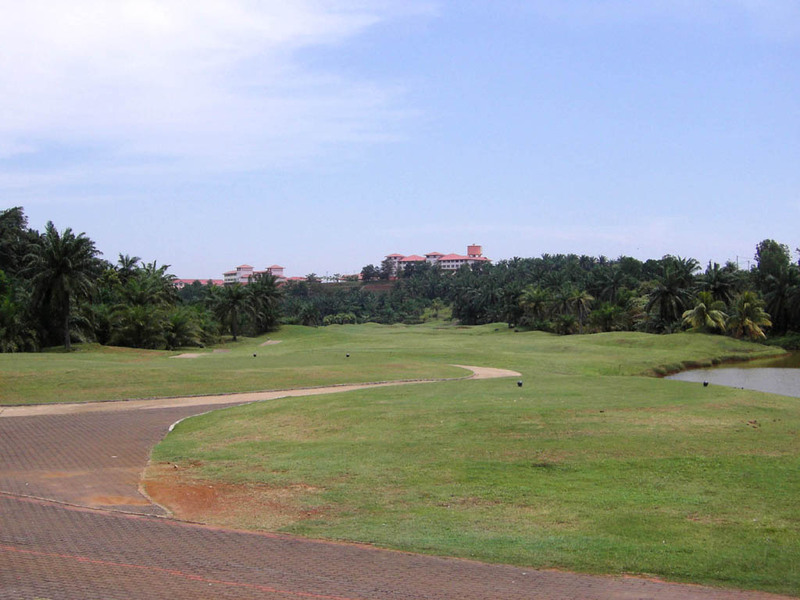 You can also stay at Hyatt Regency, Kuantan, located at just a couple of minutes drive. A 9 hole night golfing is available. 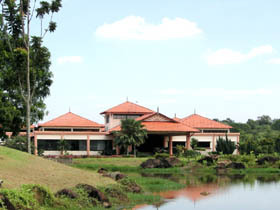 The club provides range of sports and recreational facilities. 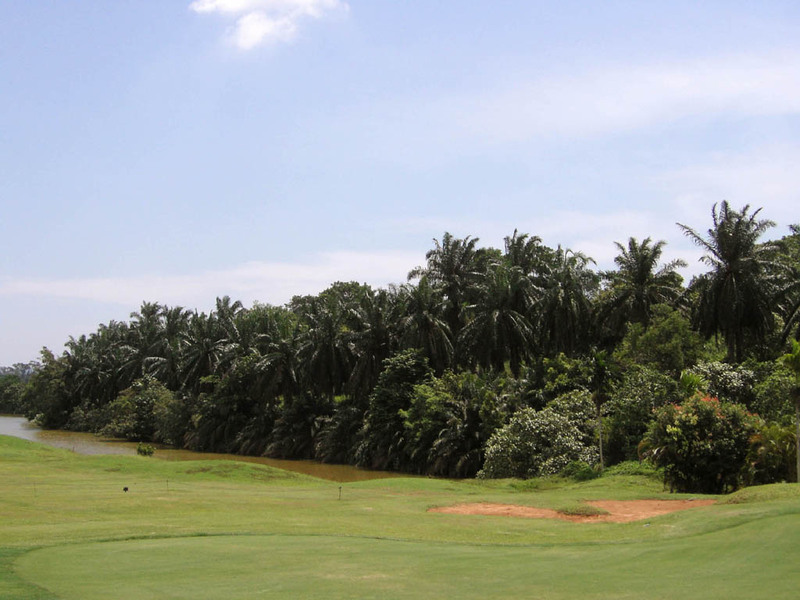 Neil Crater is Australian and his designed other courses are Hornbill G&JC in Malaysia and South Palms CC in China.